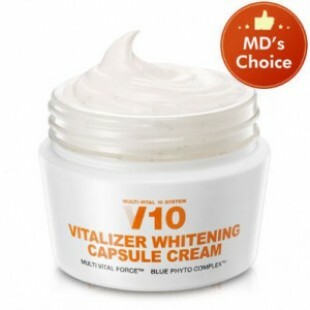 Products descriptonThe complex of vitamins is directed to an effective recovery of tone and brighten skin tone. It helps to strengthen the activity of the cells that produce their own collagen and elastin, so skin back its firmness and elasticity. Tones the skin, helps to restore the strength of connective tissue fibers, preventing the manifestation of new wrinkles.Vitamin E slows the aging process, has anti-inflammatory action, actively heals damaged skin. It refreshes the skin and restores its moisture balance.Has anti-inflammatory activity, accelerates regeneration, healing of tissues; It has antioxidant potential, reduces trans-epidermal moisture loss skin, restoringits barrier properties.Borage extract is used as a component that enhances epidermal barrier, improves water-retaining ability of the skin, improves its elasticity and protectivefeatures. Well suited for aging skin. Contains nutrients and protective agents, they possess anti-inflammatory and anti-allergic properties.Passed a Complete skin irritation testHow to useApply the product on the skin, massaging gently to dissolve the vitamin capsules.